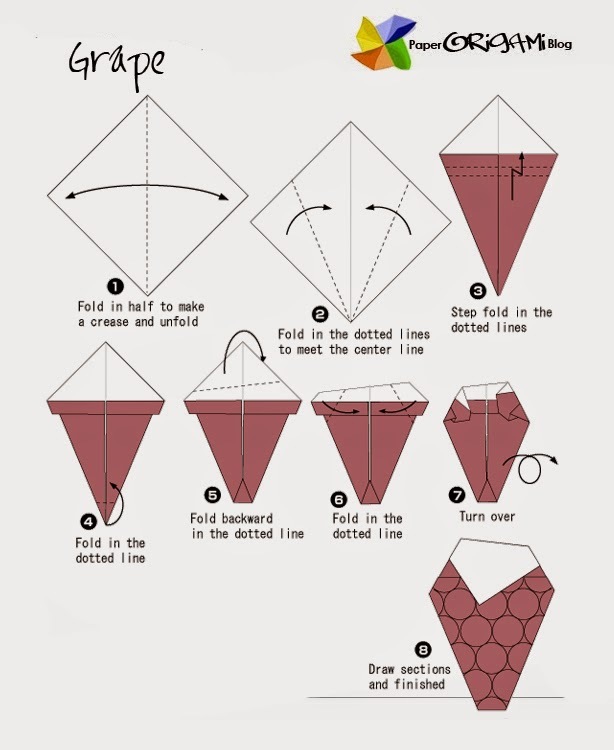 Here is a simple way to make Grape Origami- grape is classified as berry of deciduous woody vines, it is most abundant in cold country. Grape can be eaten raw, it is widely use for commercial purpose. it one of the main ingredients in making wine. So now, let us learn how to make grapes origami.